How come things that happen to stupid people keep happening to me?! Remember I was talking about frost heave the other day? Well, here’s another thing about a harsh winter: The water in your rain barrels freezes solid! If you don’t want your barrels bursting with the pressure, they have to be drained and removed from under the downspouts. One of our rain barrels in use. We have four rain barrels. Draining and removing them is not a difficult job; in fact, I quite enjoy it, especially now that the job is organized. You might wonder what’s to organize about draining a few rain barrels. Thing is, it’s not just the barrels. The downspouts have to be sorted out as well. The downspouts used with the rain barrels end just above the barrel (of course). But when the barrel isn’t there, you need a longer downspout to direct the water to the ground. I now have two sets of downspouts for each barrel. Brilliant, huh?! So now all I have to do is locate the correct set of downspout components, and do the old switcheroo. Finding the right set used to be a problem, because I’d just throw them in a heap in the garage. The following spring, I wouldn’t know which bits of spout went where. But now I’m organized! It’s simply a matter of selecting the right set using my amazing labeling system. Each set is labeled to indicate which rain barrel it goes with. When I want to replace the downspout set for the southeast corner of the house, I simply look for the appropriately labeled set. Take out the screws from the short spout and remove it. Then, attach the new set using the same screws. Rain barrel removed and down spout extended. 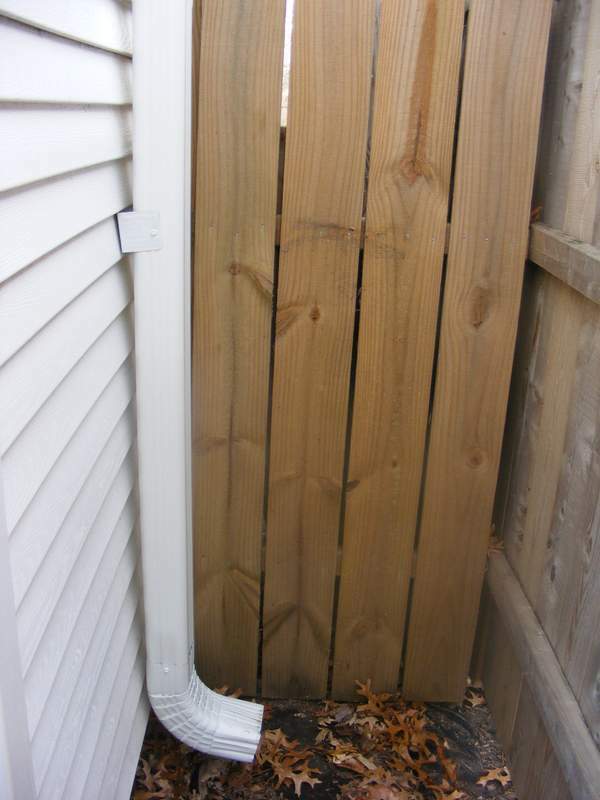 Once you have the barrel drained and the winter downspout attached, you can store the barrel up against the wall, right next to its summer location. Just flip it upside down so that it doesn’t fill with water again, ‘cos that would make this whole exercise pointless. 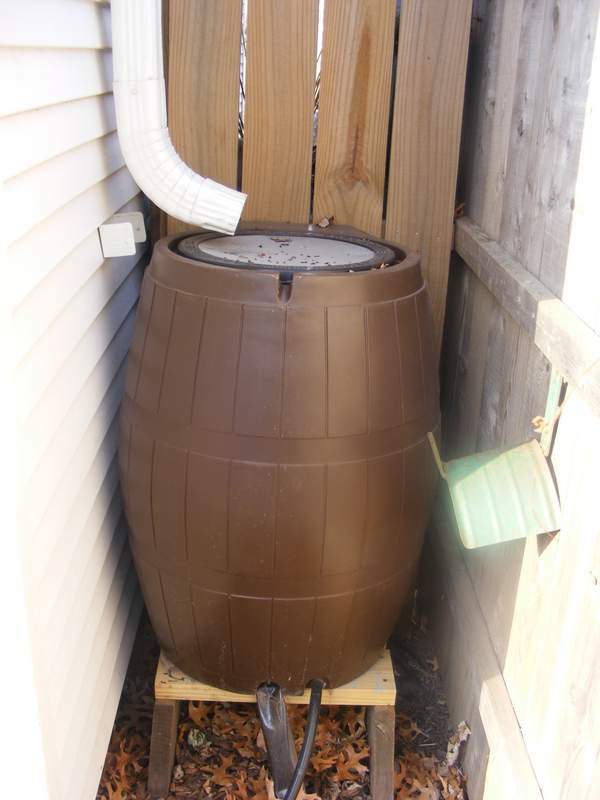 This entry was posted in American vs English, Yard & Garden and tagged plastic rain barrels, rain barrel, rain barrels during winter, storing rain barrels, winterizing rain barrels. Bookmark the permalink.